Is your home starting to feel stuffy in the warmer summer days? Our shutters are perfect for the upcoming stuffy British Summertime. Not only does our stylish selection complement the majority of interiors, but also allow for good home ventilation, light control and summer shade. 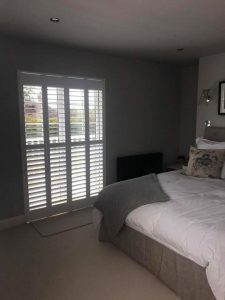 Our shutters are well-known for being great all year round; helping to produce a cooler living area in the summer time, while providing insulation during the colder winter months. They can be used to block direct sun but still allow indirect sun or streetlight into the room, and also provide good airflow through their moveable louvres. 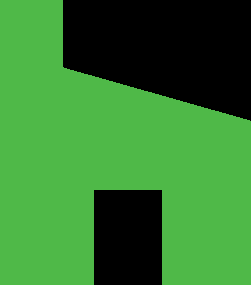 Shutters are great at providing much-needed ventilation, meaning that if a window is left open, the air will still circulate through the shutter without causing it to move – unlike most curtains and blinds. This makes shutters ideal on hot evenings as the shutter will remain closed and stable, however it will also allow fresh air whilst you sleep. They also make no noise, meaning you won’t be kept awake by the wind banging and clattering the shutters. Open louvres will also allow air to circulate easily within your home, providing a very good ventilation. In addition to the hot summer months, air filtration is especially important when the room is filled with smells from cooking and cleaning. Curtains and blinds often make it difficult to ventilate your kitchen (without compromising your privacy). Our shutters allow you to filter odours by simply opening the window and tilting the louvers. If you would like to know more about the benefits of shutters, please drop us a message and we’ll be back in touch asap. We also offer free, no obligation consultation call-outs for those interested in purchasing.